With one exemption. DVD will not work at many countries because the CD rom manufacturers are thieves and they divided World by continents Asia Continent has different number for CD and DVD for films/songs Europe has different number. Africa has different and America has different number. So TV will not work even it is small tourist one. For the 220v (230v, 240v) TVs and 110v (120v) in house receptacles you shall use step up /step down transformer, it is possible to convert 220v (230v, 240v) to 110v (120v) and you still needs special plugs. But is still better than in Data Centers. Every server has its own plug and receptacle configuration. It is really bordello in IT services and ideologies. Every manufacturer want to sell its goods so he doing not standard. I am using 220v appliances and 110v appliances with specific step-up/step-down transformers one for 220v appliance and another for 110v appliance. But still you have to remember about frequency 50Hz or 60Hz. Not everyone accepts and tolerates this difference including radio and TV set, you need to convert 50Hz to 60Hz, or 60Hz to 50Hz to make it work in good condition. You shall be happy some appliances have installed inside the power unit good for 50Hz & 60Hz and voltage from 110V to 240V. But not all. My notebook the Mac is good for the rated voltage too, and we supply frequency converters for good for many different countries. I Want entry110V-120V-130V/60Hz but voltage range I need y exit 220V-230V/50Hz/4KW to function my Machine converter is good for your? I need to convert 120 VAC, 60 Hz to 240 VAC, 50 Hz. Please let me know the pricing of this frequency converter. I have sewing machine form US which is operate in 110V/60HZ. but in our country we have 220V/50HZ. It means that I need in entry 220V/50HZ and in exit 110V/60HZ. Does it (Convert 220v, 230v, 240v 50Hz to 110v, 120v 60Hz) good for me? 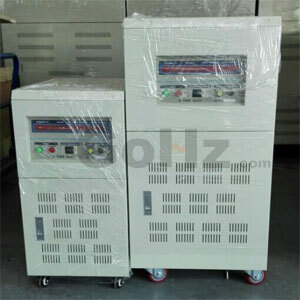 Have a inverter 230 v 50 hz can I transform it into something useful for off line In the US? It uses 24 DC power for the conversion . Is it energy efficient or should I just sell it? 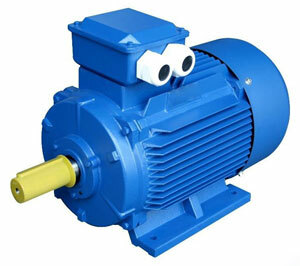 I need a converter from 230 volts 50 hz to 120 volts 60 hz for an equipment consuming 2.5 kWh energy. Which of your models would you suggest and where/how to buy it ? I bought a home grill machine from the US (Cuisinart Elite Griddler gr-300WS) 120V and 60Hz, How can I use it in Europe? any recommended transformer with a good price. 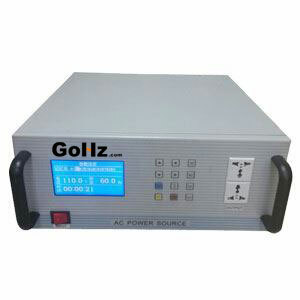 If I will use voltage transformer 220V 50Hz, to 110V 50Hz, does it affect the performance of the grill? The 50/60Hz Converter prices are different, depending on the loads' capacity. You can get a price on the Contact us page. Yes, you can transform the inverter for offline purpose as long as you are an experienced electrician, but I suggest you buy a new one, that will be more easier, not cost much too. It's easy for convert 220v to 110v, except the frequency from 50Hz to 60Hz. I suggest you verify it from the manufacturer/vendor if the grill machine can work on both 50Hz and 60Hz or not. If not, you need a frequency converter to change from 220v 50Hz to 110v 60Hz. I have brought "Yamaha receiver RX 681" and polkaudio subwoofer from USA which run on 120v 60hz but in India I have 230v and 50hz. I purchased step down converter but I'm not getting good bass from subwoofer. Is it because of frequency ? Do I need to install frequency converter? I need to convert 220 VAC, 50 Hz to 120 VAC, 60 Hz. Please let me know the pricing of this frequency converter. For a heating apparatus which is pretty simple, can a guy just replace the transformer with an appropriately rated unit for required voltage and freq ? eg. A heating mantle requires 220V 50 Hz and I would change out the transformer to 110v 60 Hz ? Trying to buy a 220VAC/50Hz to 110VAC/60HZ for a 1/2 HP ( 400Watt max) appliance. Can I have the price pls? Is the frequency converter step up the voltage from 430V(50Hz) to 480V (60Hz)?